It's finished! And I'm super pleased with how it turned out. 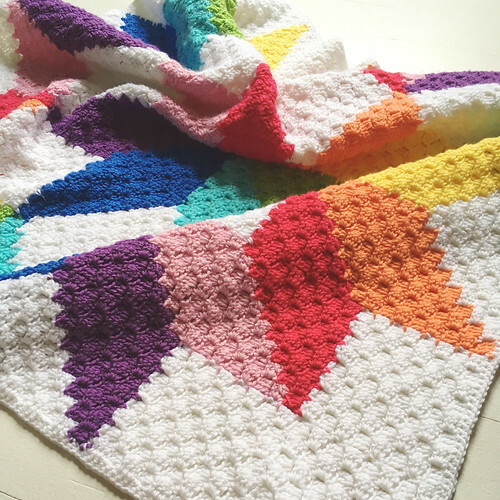 This might also be the first "rainbow-y" thing I've crocheted. 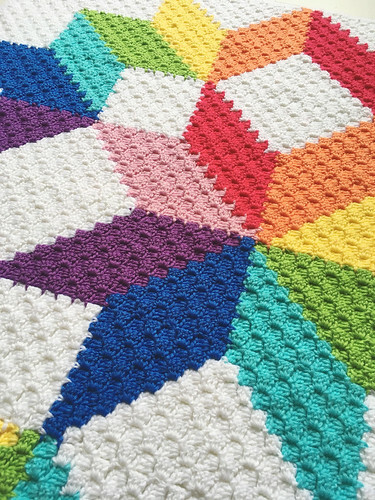 I saw a lot of pictures for "Carpenter Wheel C2C" afghans on pinterest, and found the pattern page on Ravelry HERE. 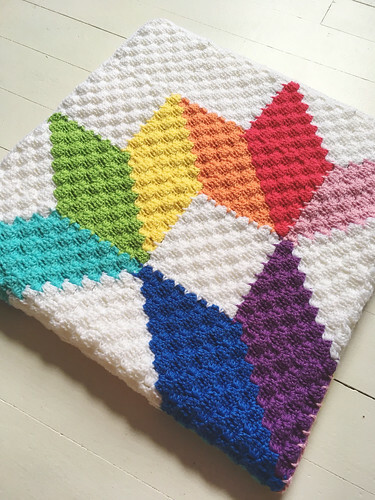 I however do not have Facebook, where the pattern was actually posted, but I thought I could figure it out on my own seeing as how I didn't want to make a full size afghan anyways. The only thing I needed to learn how to do was the "join as you go" method for the "corner to corner" method. 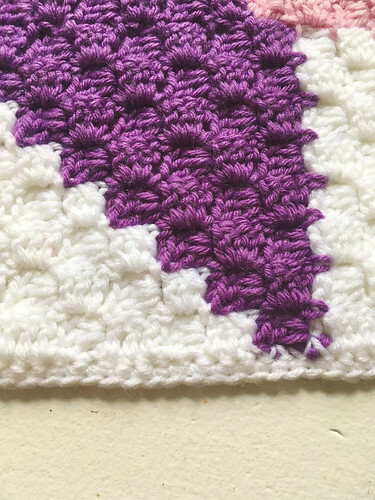 And I found a great tutorial by thepatchworkheart. For yarn, I used various colors of Baby Bee Sweet Delight, and for the hook I used a size 4.0mm (G) hook. (If I did my math right, one skein of yarn technically completed about 17 out of 64 squares.) 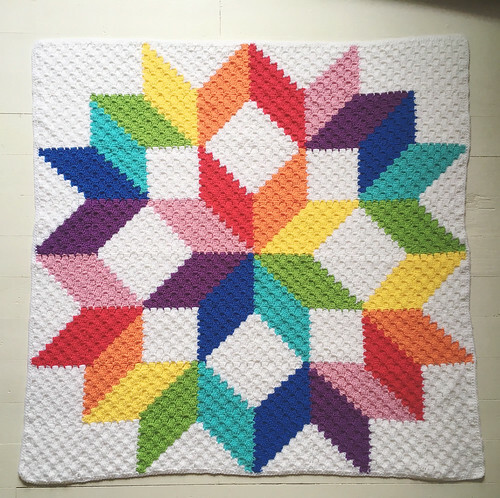 After all my squares were together, I wanted a simple border in white so as not to distract from the colorful wheel pattern. I did two rows of single crochet. The finished sized ended up about 36 inches square. Absolutely beautiful where can I find this pattern?